Though not a part of the official Ferrari product portfolio, the Italian master of art is doing the honor of introducing lineup of watches with Movado Group. Ferrari S.p.A announced it has come to terms in a worldwide license agreement with the Movado Group for the developing and marketing a new lineup of watches under the Ferrari and Scuderia Ferrari brand names. Italian auto giant suggested the price of Ferrari fan watches collection, can be expected up to €1,500 euros (approx US$2,000 or Rs 100,000). Fans can buy these watches globally through select wholesale distributors and dealers as well as Ferrari’s dealers and online stores. 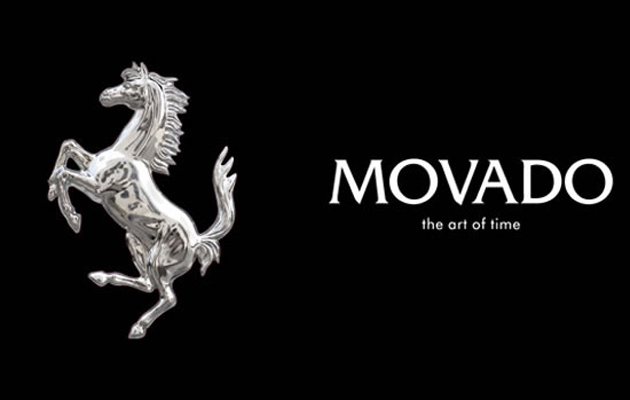 The Movado Group announced the revealing of Ferrari collection at the 2013 Annual Watch & Jewelry Fair in Basel, Switzerland. There is no word on the design and features of the Ferrari collection wathers. However, the CEO, Efrain Grinberg hinted that the design will be greatly inspired by Ferrari’s GT and F1 cars.